Thanksgiving is the most traveled holiday weekend of the year. 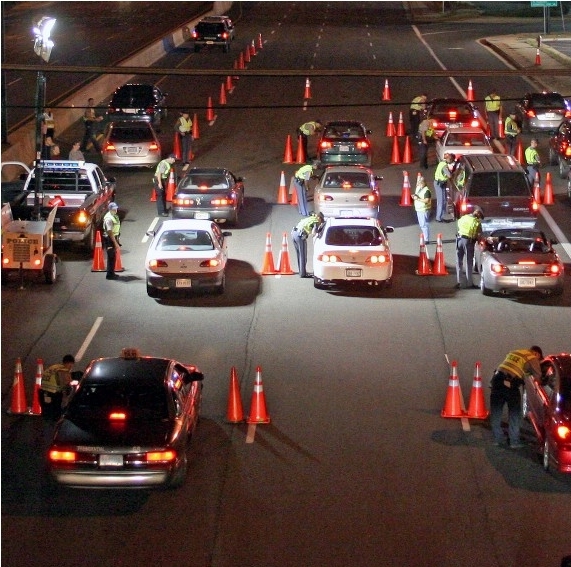 Out on the roads you can be sure to be greeted by DUI checkpoints. According to a person in the know, there will be a “historic” number of DUI checkpoints this weekend. For example, the Lehigh Valley DUI/Highway Safety Taskforce has announced sobriety checkpoints and roving DUI patrols from Nov. 23 through Nov. 30. You can expect DUI patrols and checkpoints in every county in PA. In Bucks County, checkpoints were scheduled to begin at 10 p.m. Wednesday, and participants included officers from nine county police departments for patrolling the Street Road corridor and its feeder streets in Lower Bucks County. This area is of particular significance because it is among the most accident-prone stretches. Bensalem, Hilltown, Lower Southampton, Middletown, Penndel, Upper Southampton, Warminster, Warwick and Warrington were to have 20 additional roving patrols starting at 10 p.m. Wednesday till 3 a.m. Thursday at Street Road. Also, PennDOT in partnership with Pennsylvania State Police and the Pennsylvania Liquor Control Board have announced a ‘Click It or Ticket’ seat belt enforcement campaign in 77 municipalities across Chester, Delaware, Bucks and Montgomery counties. This campaign that will run from November 23 to November 30, parallel to the DUI checkpoint. At The McShane Firm, we encourage everyone to make responsible decisions. Drivers should know what they will encounter on the road and should also know their rights. For more information, please read the article: what to do when you’re pulled over for a DUI in PA. If you are arrested for a DUI, please call 1-866-MCSHANE right away. We will be available on this number 24/7 over the holiday weekend to provide you with the best legal advice.